For example, I've never seen a Banh Mi and Hawaiian Malasadas on a bar food menu before. This business is thinking outside the box! I was able to sample my friend's Pretzel Bytes, even though I was full before coming to Hi Scores, I loved the pretzel dough! I know I would've enjoyed it more if I was hungry. 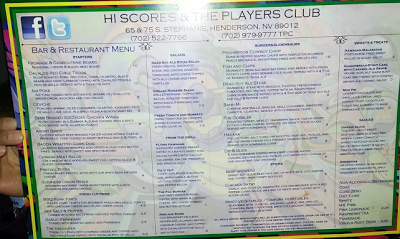 I'll be back to try Hi Scores' other foods and write a review next time, can't wait!